Sirdar Faroe Chunky knitting yarn with cotton comes in subtle pastel colourways inspired by the Faroe Isles and has a lightweight machine washable blend of 60% acrylic, 25% cotton, 15% wool. 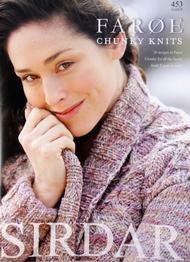 Sirdar Faroe Chunky knits to a standard chunky tension of 14 sts to 19 rows on 6½mm needles. 50g per ball 85m/ 93 yds. 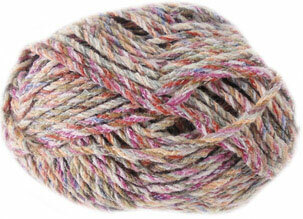 Faroe Chunky 250, Wildwood - lightweight knitting yarn with cotton in subtle pastel colourways. 60% acrylic, 25% cotton, 15% wool, knits to a standartd chunky tension. 50g/ 85m per ball 85m. 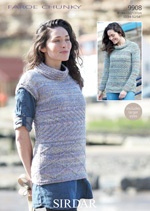 Faroe Chunky 251, Flora - lightweight knitting yarn with cotton in subtle pastel colourways. 60% acrylic, 25% cotton, 15% wool, knits to a standard chunky tension. 50g/ 85m per ball 85m. 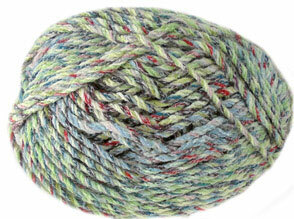 Faroe Chunky 252, Heath i- lightweight knitting yarn with cotton in subtle pastel colourways. 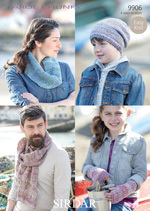 60% acrylic, 25% cotton, 15% wool, knits to a standard chunky tension. 50g/ 85m per ball 85m. 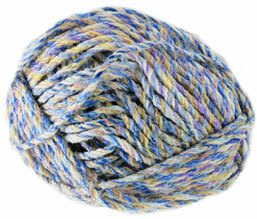 Faroe Chunky 255, Cuckoo - lightweight knitting yarn with cotton in subtle pastel colourways. 60% acrylic, 25% cotton, 15% wool, knits to a standard chunky tension. 50g/ 85m per ball 85m. 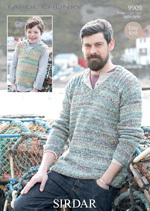 Faroe Chunky 250, Ramble - lightweight knitting yarn with cotton in subtle pastel colourways. 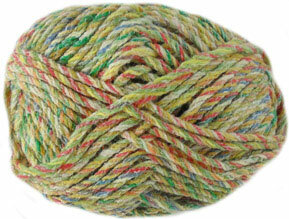 60% acrylic, 25% cotton, 15% wool, knits to a standard chunky tension. 50g/ 85m per ball 85m. 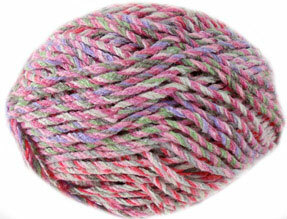 Faroe Chunky 254 Creek, a lightweight knitting yarn with cotton in subtle pastel colourways. 60% acrylic, 25% cotton, 15% wool, knits to a standartd chunky tension. 50g/ 85m per ball 85m.